Obviously these circa 2 billion people aren’t all gamers, but of the proportion that are, is a companion app to go with their new game something they want and something that they or you would use? Watch_dogs is one recent example where they have tried to link the main game to an app. 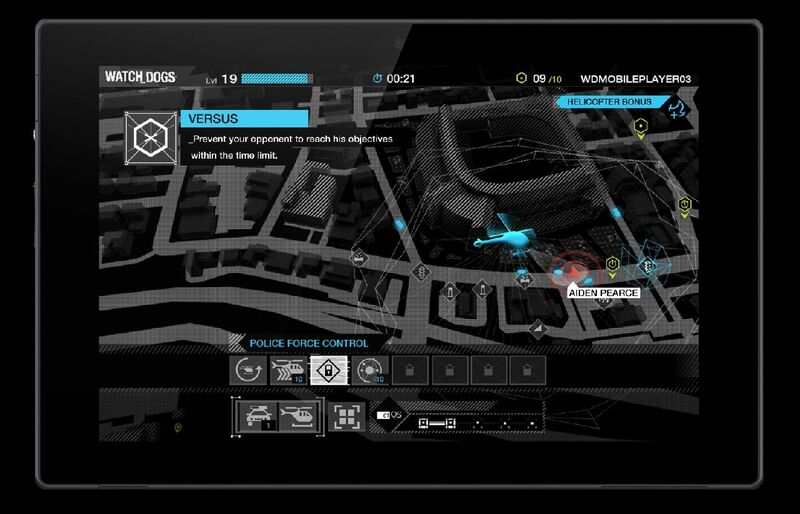 With the watch_dogs app you have two game modes availably, Race and Free Ride. Each mode sees console and PC players attempting to get across Chicago reaching checkpoints, with the app user trying to stop them by hacking traffic lights, steam pipes – all the normal hack-able things in the game. There is also a standalone progression for the app which will unlock you new abilities like helicopters to make it easier to bring down console and PC players. Now, when I first heard about this I thought “Cool, that sounds like it could be a laugh.” and was cautiously optimistic that the addition of an app could enhance the experience of the game. But when the game and app actually released, I tried to play it and it didn’t work due to server issues. After a few more failed attempts at playing I gave up, I just didn’t even think about it again and eventually uninstalled it without ever really caring. I don’t know if people are in the same boat as me with this or not, but I just didn’t feel inclined to play it. There wasn’t enough to draw me too it. Maybe if there was some way that the abilities were linked to the full game I would’ve wanted to play it more. But it makes me wonder, who is actually requesting these extra features? Or are they just some idea dreamt up in a meeting. It’s not even like it would’ve been a money thing, because the app was free. Maybe there was a questionnaire asking if people wanted it, but I know I didn’t see it. Surely someone has shown some interest in this though. But who? Did Ubisoft go around asking if people wanted an app with the game? If they did, surely they would’ve asked what people would want from it? Again, if they did, why were we left with something that, to me, felt lacklustre and a bit like an afterthought? 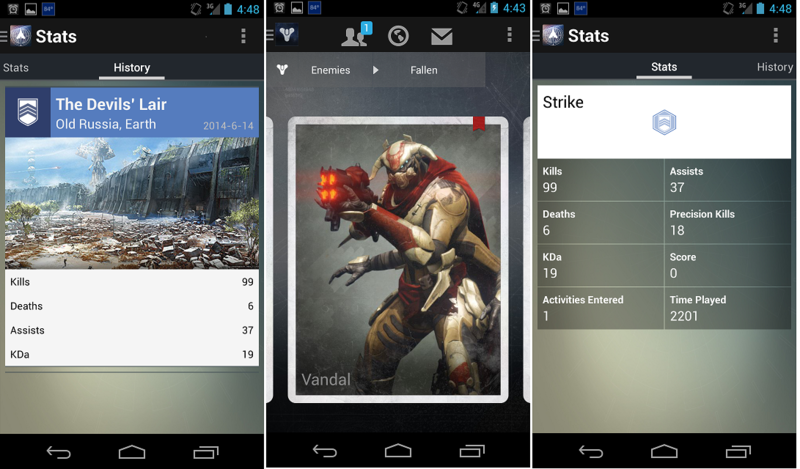 Bungie is another who has added an app to go with Destiny. Whether it be to see what new items are for sale in the tower, or if any friends are currently online and what new gear they might be sporting, I find myself checking the app on a fairly regular basis. The general consensus from what I hear is that others are finding it useful too. The NBA 2k series also has a companion app, and in my opinion it is one of the better ones for enhancing the game. Mainly because you can earn a lot of extra VC which is the virtual currency used in game to upgrade either your player in MyCareer, or your team in MyGM. The amount of extra VC I earned through the app really helped me boost my stats in the full game, and I will most definitely make use of this again with 2k15. Clearly there is some desire for app support with games – I know I like it when they’re done right. But it’s all about how it’s delivered and what it delivers. Does it really support the game, or enhance it? For me the watch_dogs app didn’t support the game enough, maybe it enhanced it a little, but I couldn’t ever get it to work properly, so for me it didn’t. Maybe the app has got a lot better since launch, I don’t know, and the main thing is, is I’m not really bothered enough to find out. The NBA and Destiny apps however, not only support the games, with you being able to check a plethora of stats in Destiny for yourself and your friends, but can also enhance the game with the addition of earning in game rewards for NBA. There are plenty of other games with companion apps out there, and it seems like the trend is going to continue if not grow for this new generation of gaming. I know there will be some people that really wont want them, some who don’t care and some who will like the idea of them. So, if you are going to make one, then make sure it actually adds something to the game, and doesn’t just wind up being something that feels like a lazy addition that I wont ever use. Personally I don’t really feel like I need an app to go with the game, but I’m willing to check them out if there is one, and I’m quite happy to have my mind changed about them. Just make them good, that’s all I ask. What do you think? Do you like this trend of companion apps, or would you rather focus purely on the full game?